With inspiration from the golden era of professional bodybuilding, this sleeveless tee honors the iron warriors and their workouts of the past. It’s designed without compromises in heavy washed cotton for a vintage look and feel. 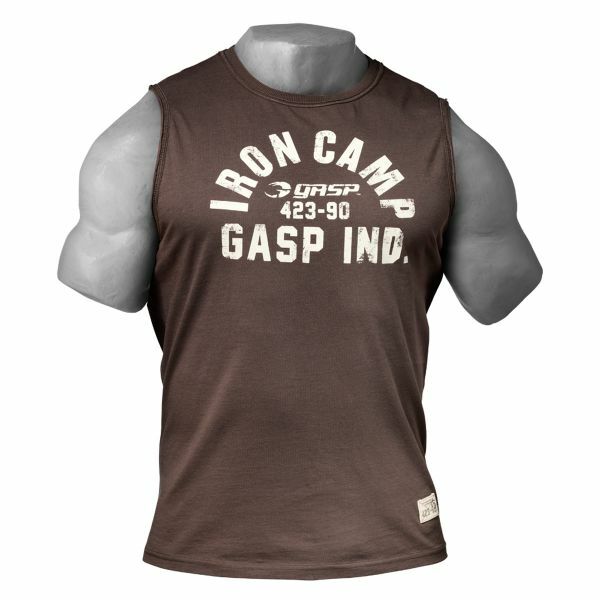 A unique Iron Camp print covers the chest. Weiterführende Links zu "Gasp - Throwback S/L Muscle Tank Top, timber"
Kundenbewertungen für "Gasp - Throwback S/L Muscle Tank Top, timber"